The WFF unveiled a portrait of the first seven women to receive Yale Ph.D.s on April 5th, 2016. 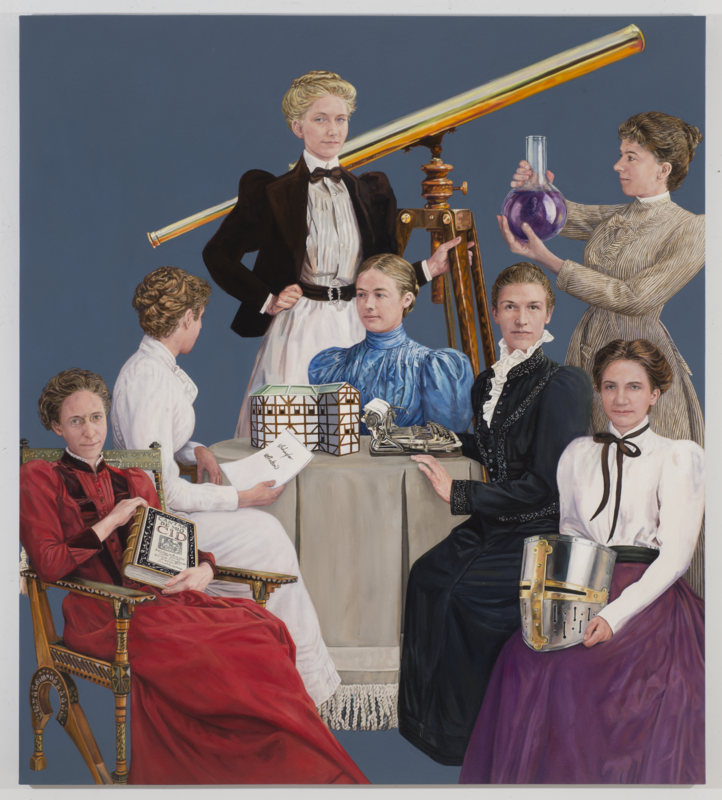 The portrait, located in the nave of Sterling Memorial library, was painted by artist Brenda Zlamany and is the first portrait of women to be displayed publically in the library. Today, 47.4 per cent of the 2,813 degree-seeking students in the Graduate School of Arts and Sciences are women. They are a diverse group, representing many nations, races, and ethnicities. Their successes are built on the shoulders of the women pioneers who pursued their right to a Ph.D. long before possessing the right to vote.